Clean, warm waters and a vibrant marine life make snorkeling in the Maldives one of the best in the world, and the atoll's coral reefs offer a unique and unforgettable experience. 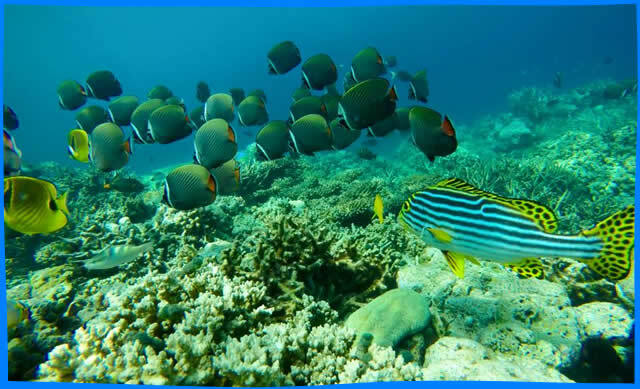 Snorkeling in Maafushi is safe and affordable! To discover an amazing reefs and a fantastic underwater world, you only need a mask with a snorkel and fins, and many Maafushi's hotels provide snorkeling gear for free. 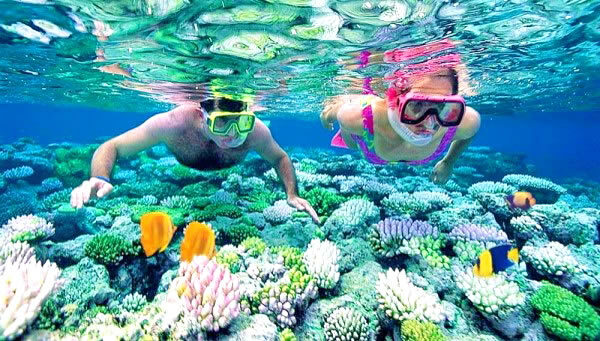 Snorkeling is also an ideal holiday for the whole family, and this fun activity is so simple that even children can do it. Do not know how to swim? Then just put on the mask, take a few steps inside the lagoon and lower your head into the water. If you want to go snorkelling with kids - put on them life jackets. Free snorkelling is possible on Maafushi's house reef. There are two reefs around the island: near the north-western tip (bikini beach) and along the eastern shore, where you can spot reef white-tip sharks. The house reef lies about 30-50 meters from the tourist beach and has easy access from the sandy zone for swimming. Do not hesitate to ask for a mask and snorkel at your hotel (for free), as well as receive safety information. Maavilai (coral gardens inside the lagoon) is 1.7 km from Maafushi. 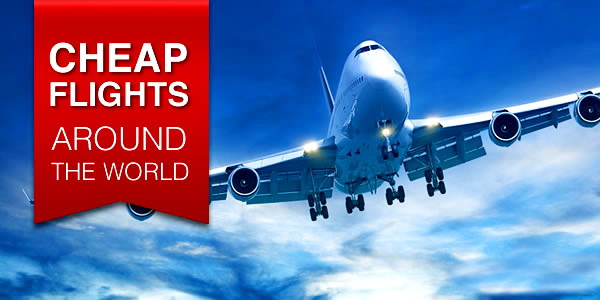 The tour lasts from 1 hour. 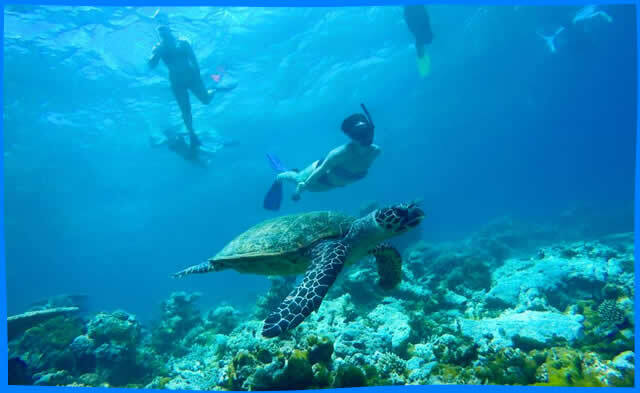 Expect to see beautiful corals, rays, turtles, moray eels and various types of reef fish. If you are lucky, you can face a leopard shark. The excursion price is 12 $. Banana reef is 7 km from Maafushi and is ranked the most popular place. 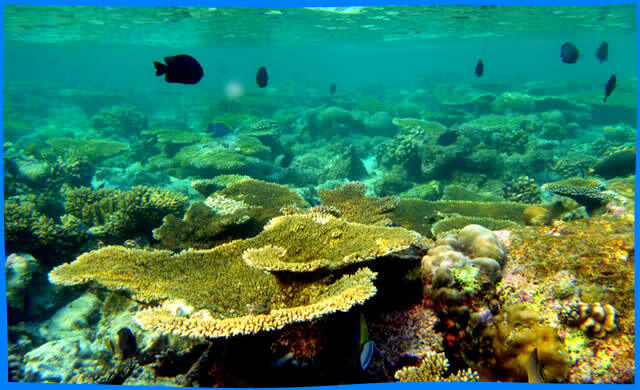 Many solid corals with large schools of fusiliers, fish surgeons, triggerfish (trigger-fish) and other colorful fish. If you are lucky, you will see the green sea turtles and the white-tip reef sharks. The price is 35 $. 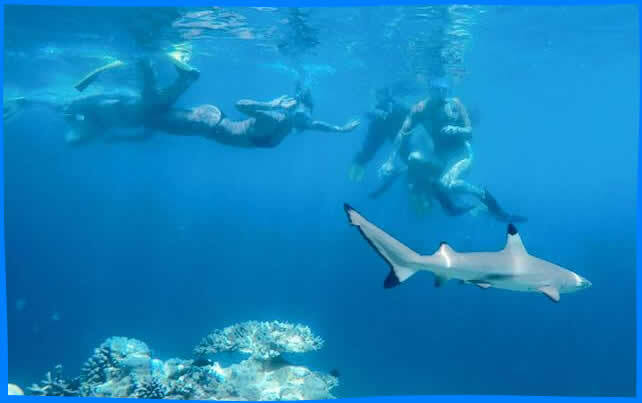 The amazing snorkel site is "Coral Garden" that lies 3.5 km from Maafushi, and features an elongated coral reef with an ambudant marine life, including manta rays, gray reef sharks, morays and turtles. Price $ 25 including lunch. 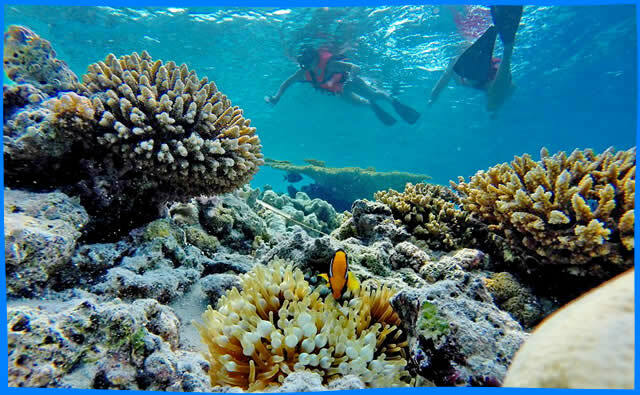 Kuda Giri is located 3 kilometers from the island and offers to snorkel around a small circle (the form of a reef) surrounded by an unimaginable variety of hipnotic sea creatures. The site is also a popular place for wreck diving. 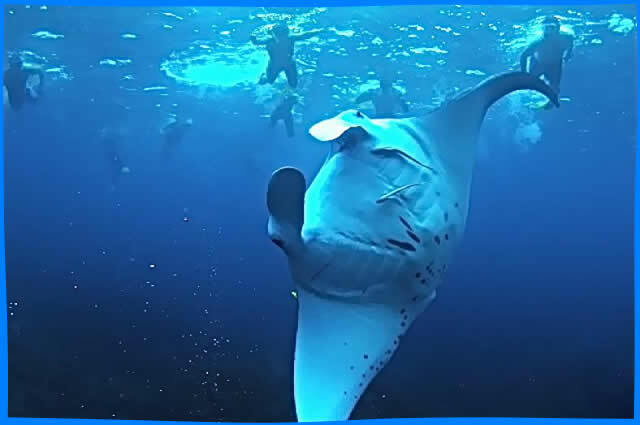 Manta rays can be found throughout tropical waters across the world where they often congregate around coral reefs. 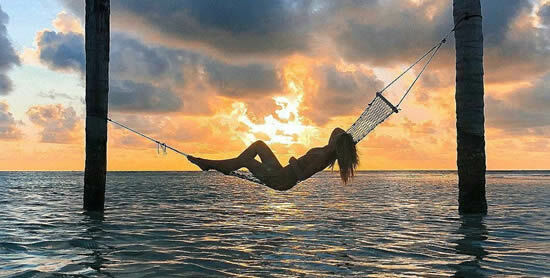 The Maldives is a particularly good destination for people wishing to see Manta Rays while scuba diving or snorkeling. It is estimated that there are around 10,000 Manta Rays living in the Maldives. The manta rays live in the Maldives year-round, migrating from one part of the atolls to another depending on the season. Turtle Reef is located 14 km from Maafushi and features extensive areas of a unique coral, with scraps of sea grass and sea turtles. The price is 35 $. the largest fish in the world, can reach up to a massive 12 meters in length, and are common in the Maldives. Historically, they were only to be found in the Maldives during the southwest monsoon season, but now, due to several changes in the environment including higher water temperatures and increased levels of plankton, whale sharks can be found swimming around the Maldives and in particular, the Ari and Baa Atolls throughout the year. 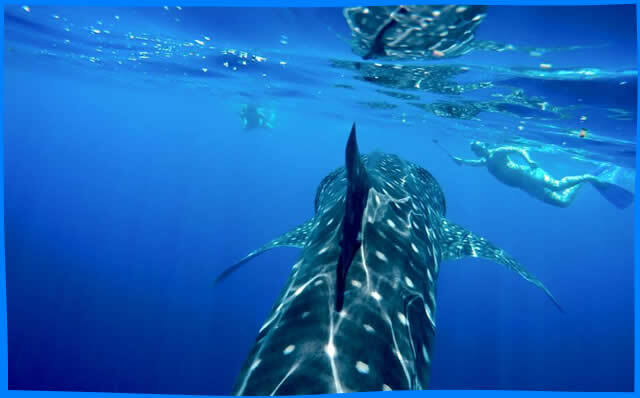 The great thing about whale sharks is you don't have to be a certified scuba diver to enjoy a whale shark encounter.